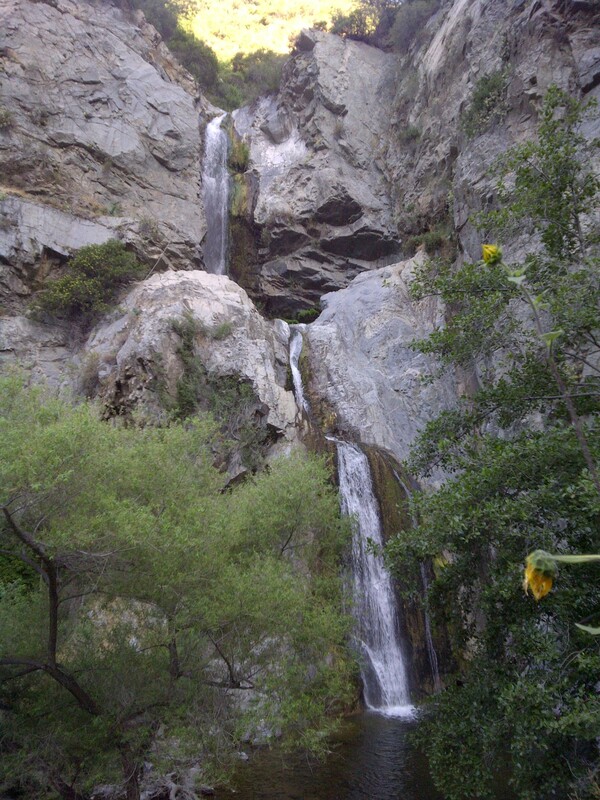 Fish Canyon Falls is one of those sights that leaves you in awe. 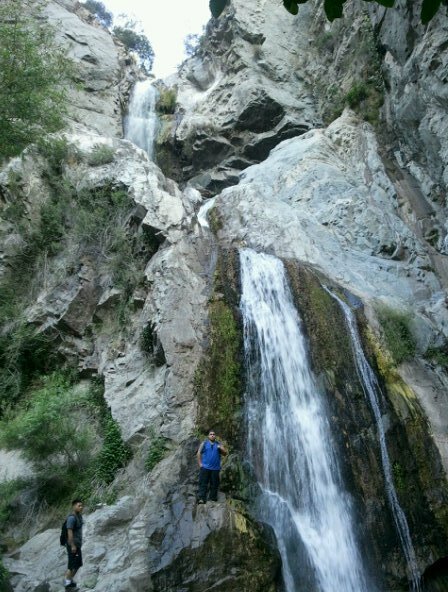 Truly one the best waterfalls that the San Gabriel Mountains has to offer. The adventure begins juat beyond the Parking Lot From here you begin your 2.2 mile adventure. 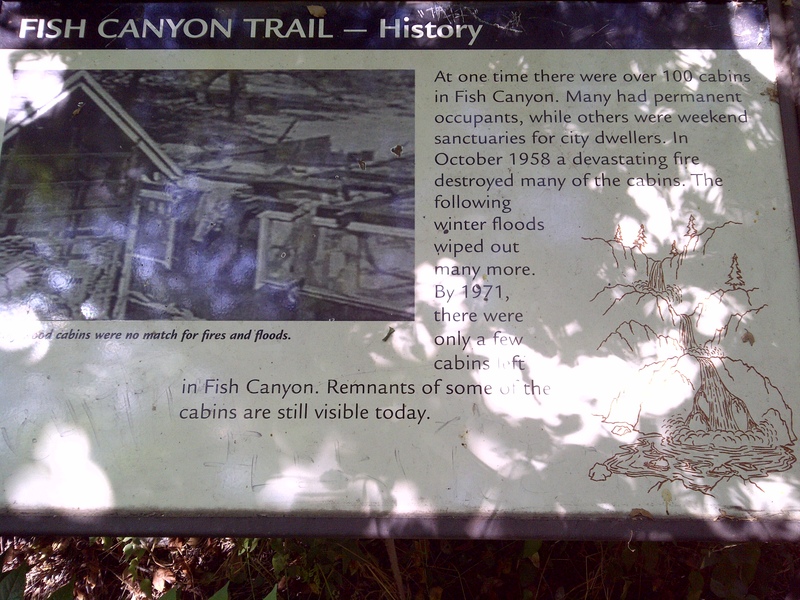 Along the trail you will see ruins of old cabins, wild berries, and posted signs with history of the canyon. 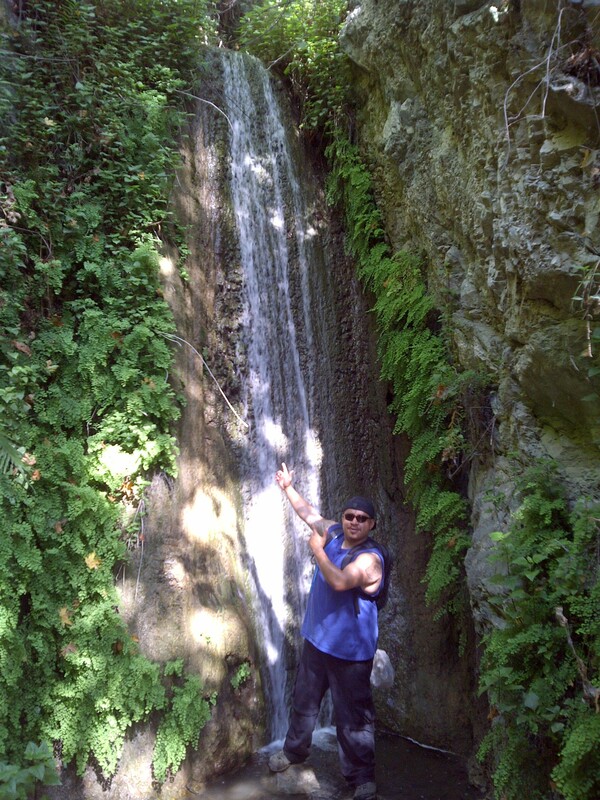 With only 2 creek crossings this is one of the more easier and drier waterfall hikes around. Once you’ve reached the waterfall getting to it can be a bit tough… between you and pool at the base lies a small but steep slope. With careful navigation make your way down and grab a seat. This place gets bit crowded because on the weekends, so start your hike early for preferred seating. Trailhead opens at 7am. This is a well shaded trail along Fish Creek which is perfect for the hot months. On your way back from the falls take the time to visit a hidden waterfall. I saw so many people walk right pass the trail and didn’t even realize it. The trail is easy to find if you know what you are looking for. On your way back look for the natural staircase that is formed from the roots of a tree. Shortly after passing that you will come across a bend in the trail with what appears to be a runoff to your right.. follow that trail for 1 minute and there you will see Darlin’ Donna Waterfall, Fish Canyons Hidden beauty.